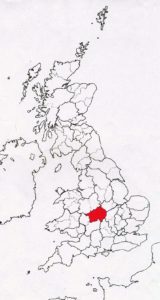 This area consists of the two historic counties; which now includes most of the modern, metropolitan county of the West Midlands; which is incorporated here; except that part included with Staffordshire. 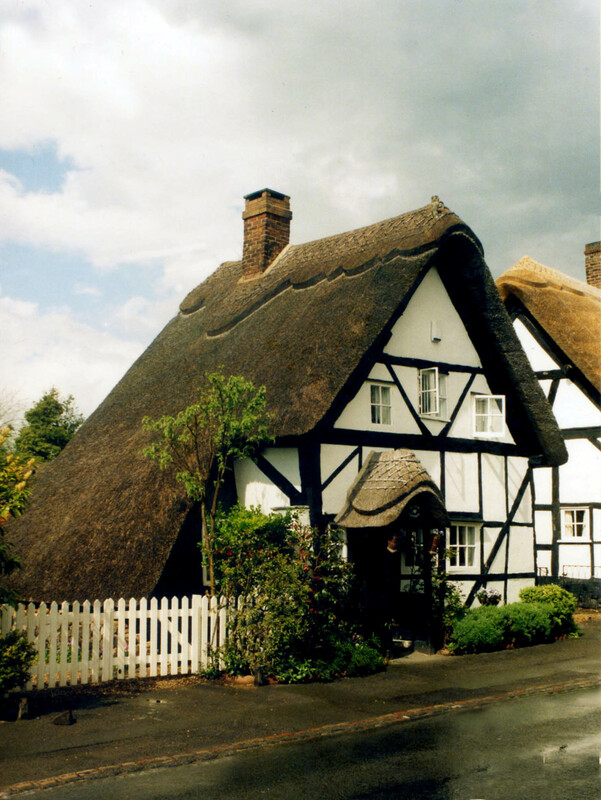 Apart from the famous Ann Hathaway‘s Cottage, at Stratford on Avon; which is featured in the following page. 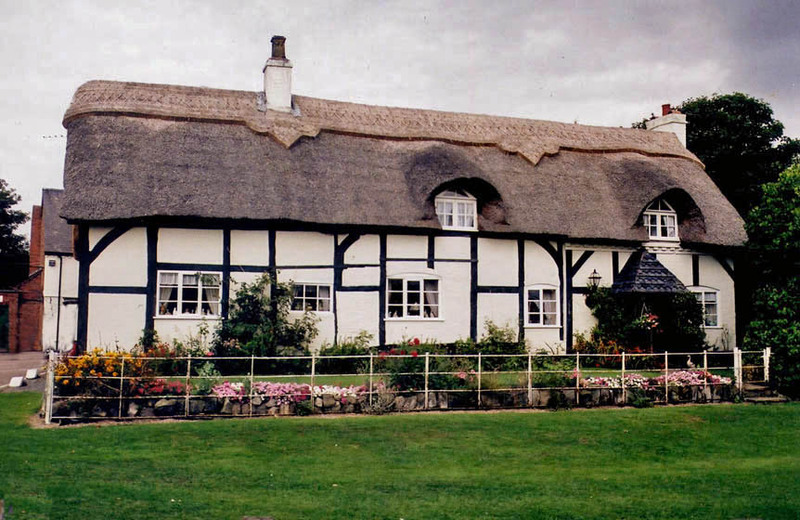 (Thatching at Anne Hathaways Cottage ) These two historic counties, also have many other attractive thatched buildings. 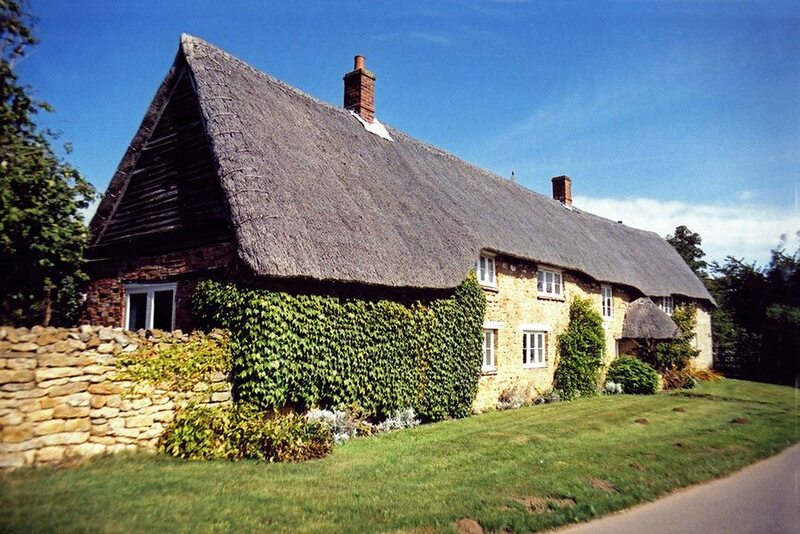 Whatever the traditional style of thatching, long straw was once the material of choice; in both counties. This is now hard to find. Spars, known as Pricks in Warwickshire, are occasionally seen following an eaves line, in a memory of long straw work. But today the coating material will mainly be combed wheat reed. Combed wheat was known of in Worcestershire, but the Agricultural Reporter stated it was only used in cider making, two centuries ago. 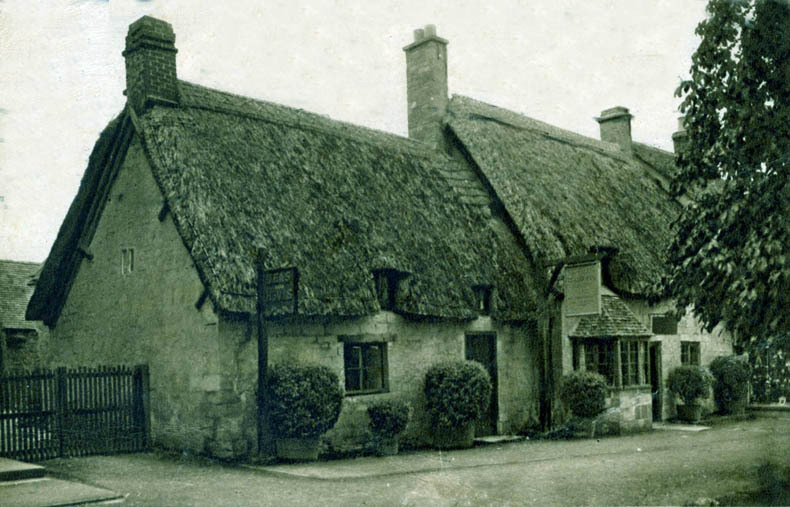 Multi layered… At Claverdon, a few miles north of Stratford on Avon, in c1930. 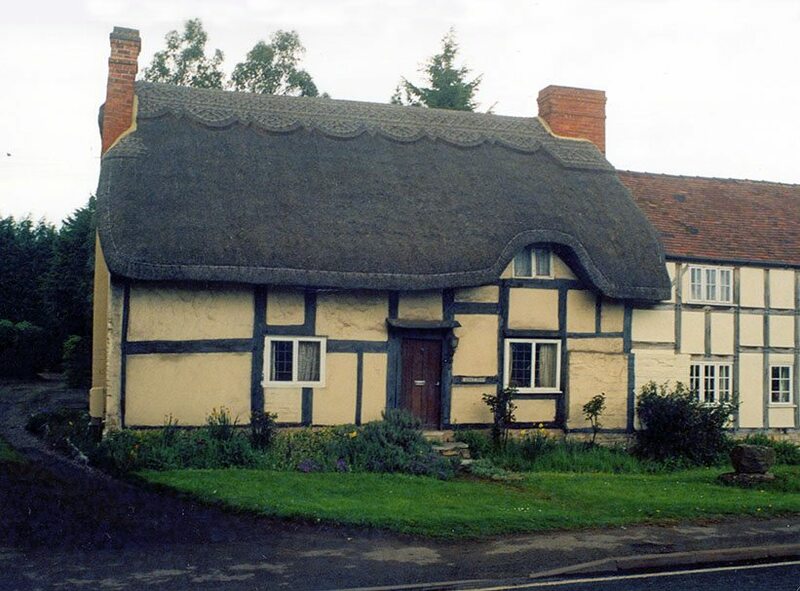 Similar to the roof above, at Dunchurch; in that it has an angular shape and is topped with a mortar ridge. But this roof is much thicker, showing its underlayers of thatch very well. 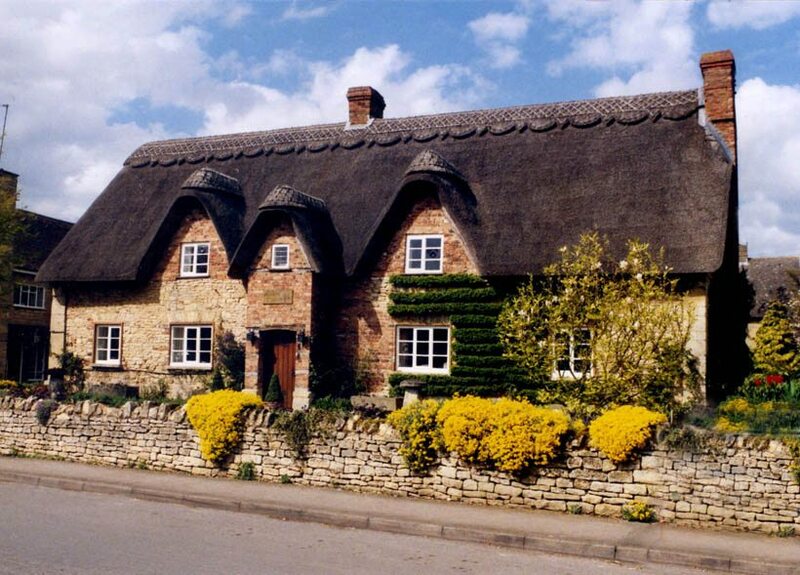 Like the Dunchurch roof, this one is still thatched. 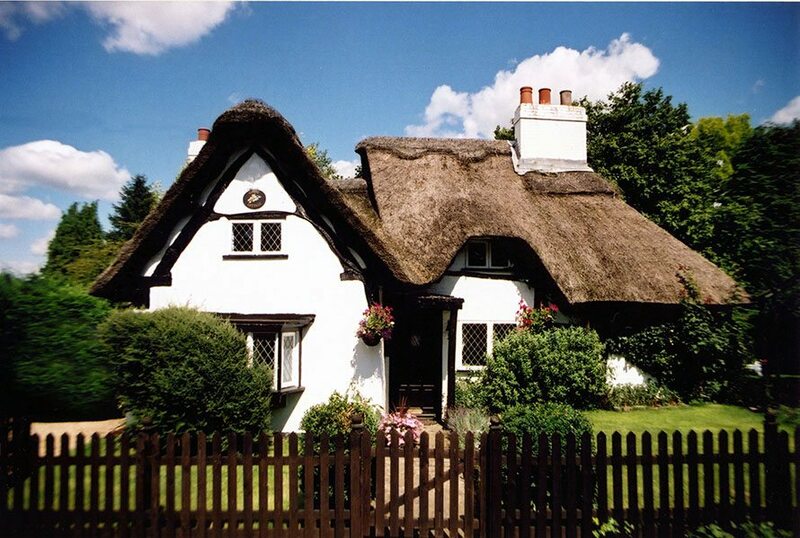 West Midlands thatch… The left hand cottage, with a Tudor core, lies at Balsall Common. And is one of the few original homes hereabouts. The rest mainly dating from the last century. 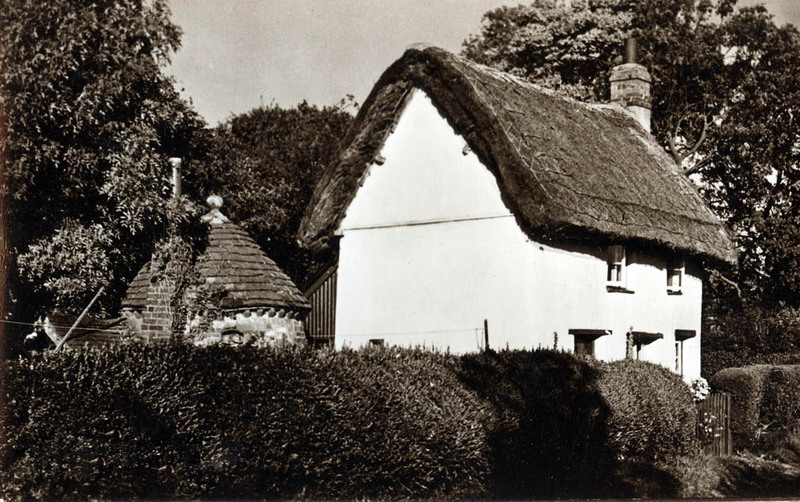 The right hand cottage, with an attractive straw bird and a ‘northern’ boarded gable end, lies at Berkswell. 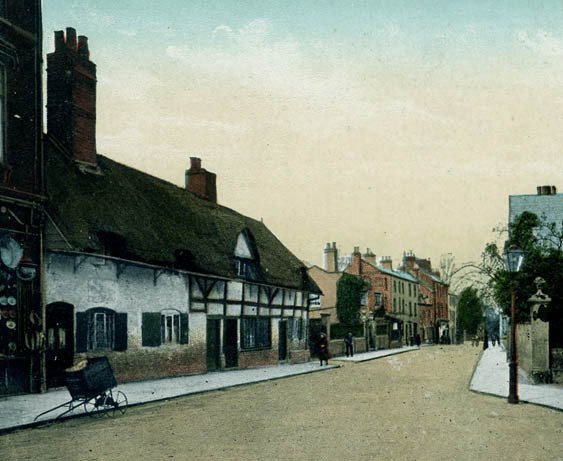 Warwickshire old and new… The above shows ‘North Street’, Rugby, at the very end of the nineteenth century. 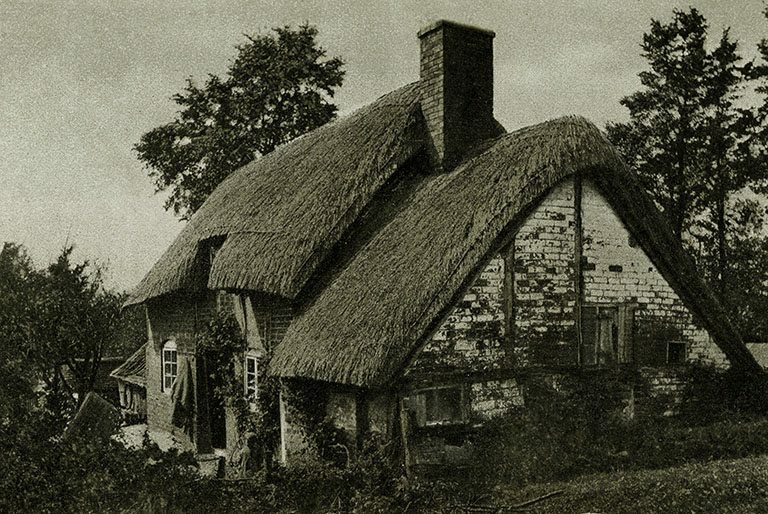 With a long gone, guttered thatch. 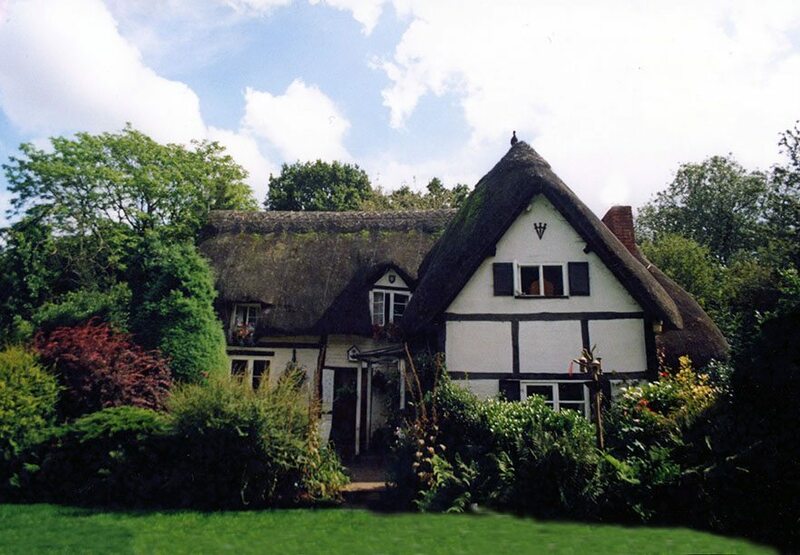 It’s now the busy urban B5414… The right hand cottage at Salford Priors, lies just over the border from Worcestershire. In an area with a lot of thatch, in both counties. 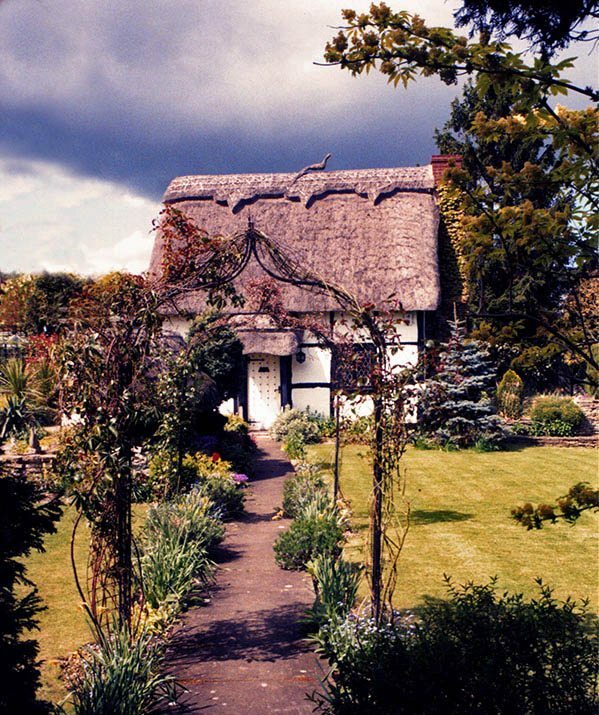 More old Worcestershire thatch… The above cottage at Broome, shows a very Southern traditional curved thatch. 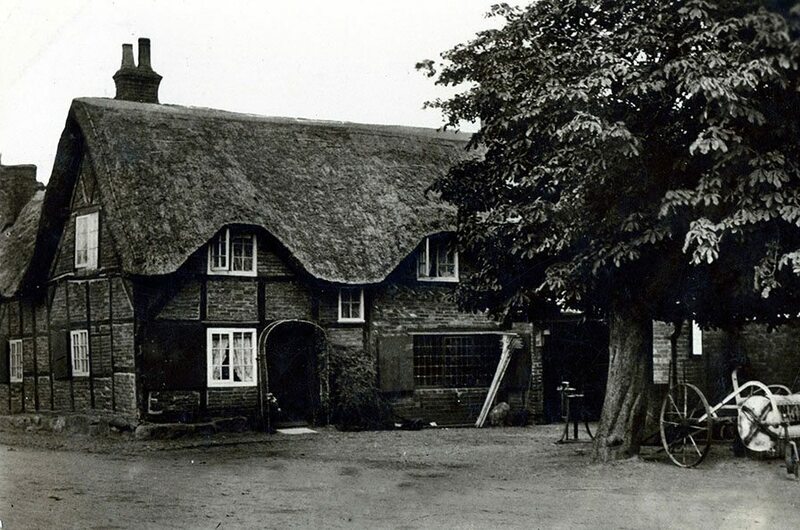 With the roof on the right hand thatch at Doddenham being a little more angular. 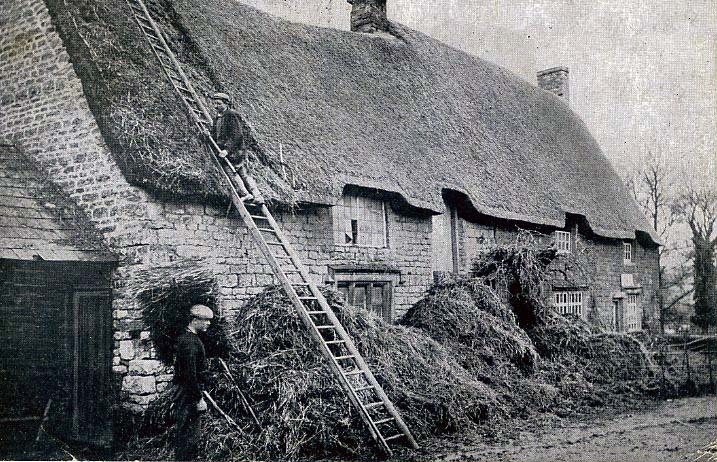 Both being thatched in long straw, over a century ago. 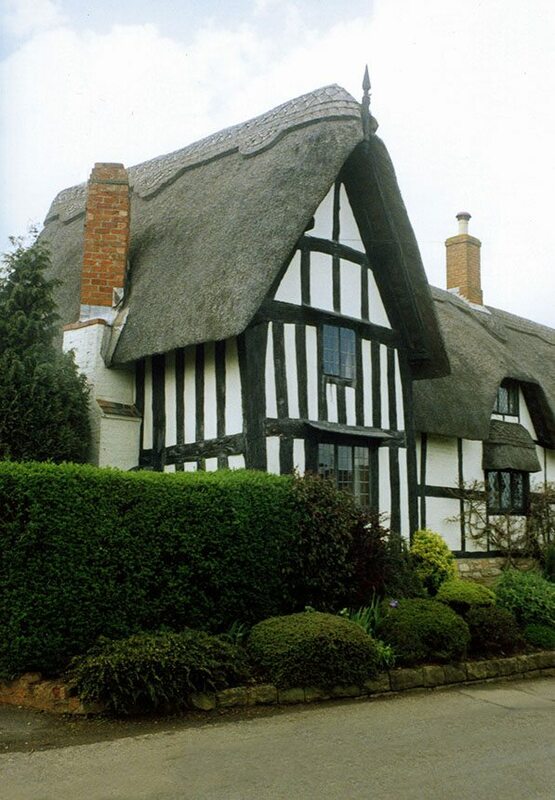 Timber framed Worcestershire thatch… The tall roof on the above cottage lies at Great Comberton. One of the several thatch filled villages, surrounding Breedon Hill. 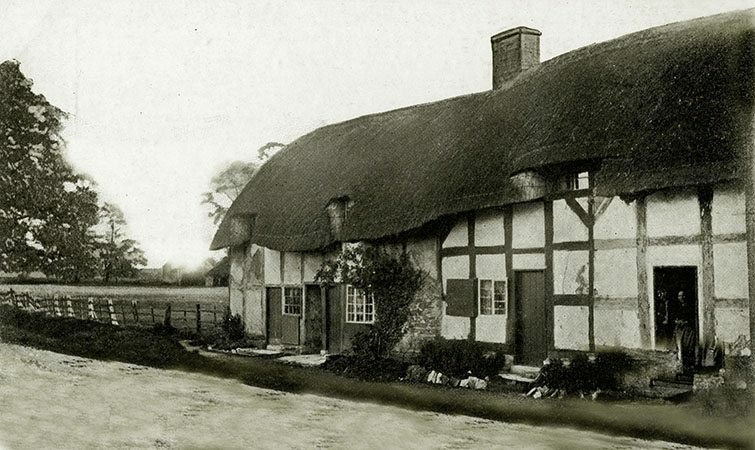 The lower cottage at Norton Lenchwick, is in much the same area. With its combed wheat reed roof, having a line of liggers along the eaves. A reminder of the long straw tradition, in this county. 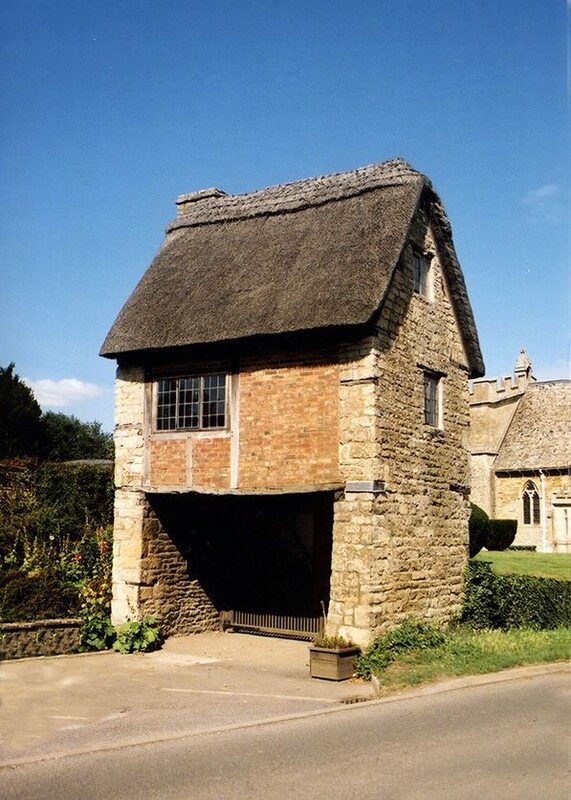 Immaculate… A combed wheat reed roof, with an unusual porch ,at Bredon. Up a narrow Warwickshire track, lies the church of St. Milburga, at Wixford. 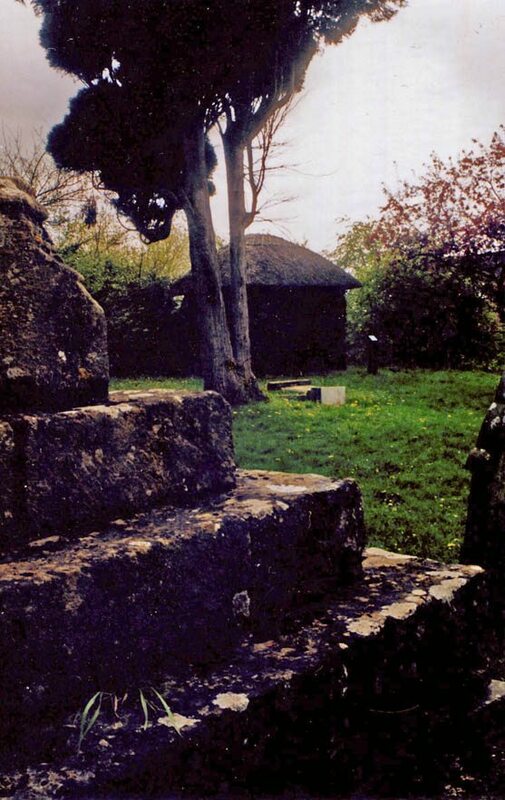 In the atmospheric churchyard is a small wooden building, thatched, with walls of gorse and heather. 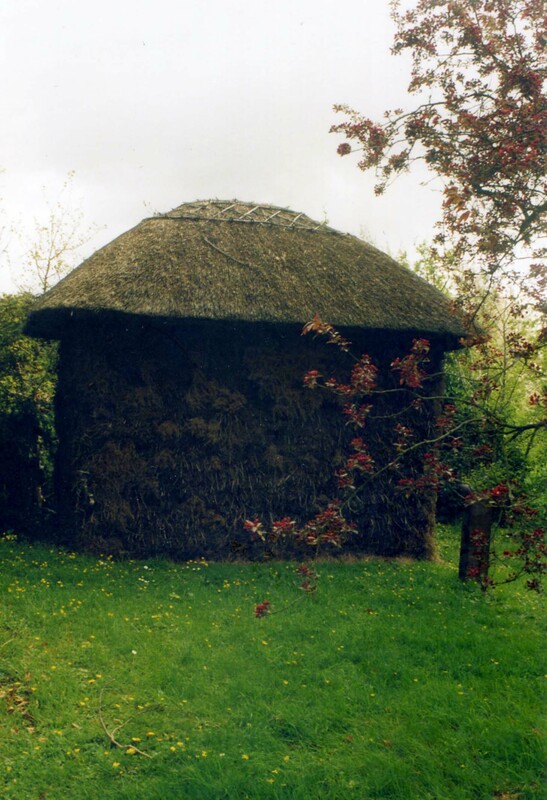 This little thatch, is said to have acted as a stable, for the horse of any minister conducting services here. 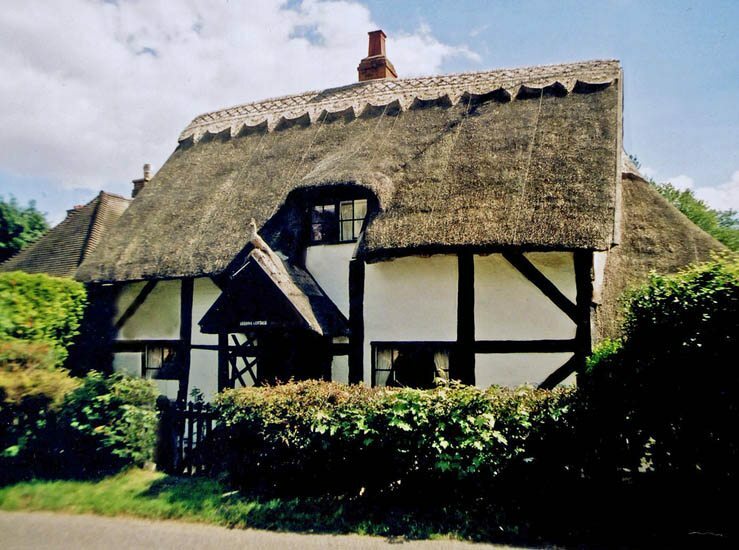 It is perhaps three centuries old… A rare survivor, of the countless, thatched small buildings, that were once found throughout Britain.